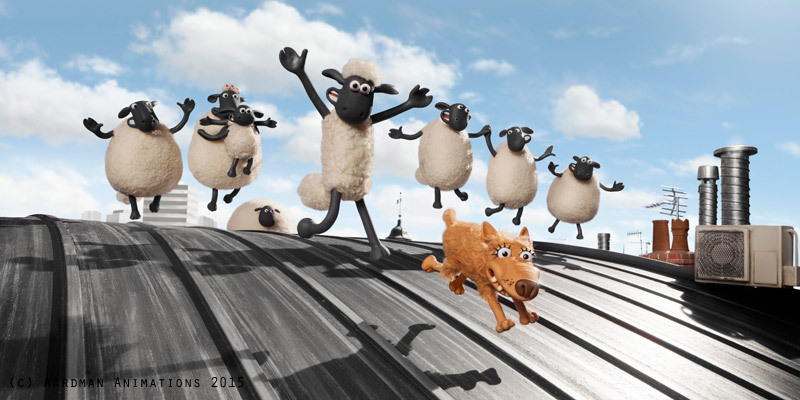 Rita Sampaio is currently an animator at Animortal Studios and she has previously worked as an animator at Aardman, including work on productions such as the BAFTA nominated, Shaun the Sheep The Movie. Rita is Portuguese and she started her career there as an animator and model maker in various roles both in short films and TV series. 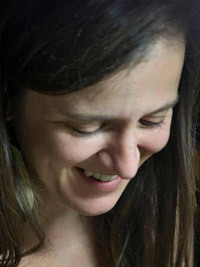 She moved to the UK in 2008 to do a Masters in Media (Animation) at the University of the West of England, becoming a model maker, subsequently assistant animator, and eventually animator for Aardman, working on TV and film productions, before moving to Animortal Studios in October 2015. Rita, please can you tell us about your career to date and what got you interested in animation? I always loved animation and was lucky enough to have seen a TV programme in Portugal (‘Vasco Granja Apresenta…’), that showcased animation from many countries. I grew up very aware of the diversity within the medium as well as the different aesthetics and narratives used in the making of animation all over the world. My undergraduate course was in Stage Design and I worked a few years in theatre, but after I did an eight month stop motion course at the Fundação Calouste Gulbenkian in Lisbon, it all changed. I knew I wanted to do that, to sit in a dark room manipulating puppets. As you do. Please can you tell us about your current role and what this involves? I’m currently working as a stop motion animator at Animortal in a feature film. The animators are responsible for manipulating the puppets, moving them one frame at the time and taking a still picture per frame. When those pictures are played together the eye reads those stills as a film, making the differences between them blend and creating movement where there was calculated manipulation. Besides just moving the puppets, the animators have to give them character or in other words ‘soul’, which is the meaning of the word ‘anima’ in Latin. Could you give us a brief overview of the basic animation process and how new technology is making more things possible? Stop motion animation has been made much easier to make since the change to digital. With a 35mm camera you needed a video camera (in a slightly different angle) also so that you could have a playback of your progress and make sure all was as it should. The cameras we use currently are photography cameras and the progress is recorded straight to a computer. Then you can have your playback exactly form the same source as the film, which helps greatly. Most of the time things work best done on camera, effects like water or fire, etc. Sometimes there are solutions that are available now that we didn’t have in the past, like making smoke, erasing rigs, cleaning some unwanted fluff off a character’s face, etc. That is part of the work of the talented folk at the VFX [visual effects] department, a crucial team in a stop motion company. You’ve worked on film and TV projects. What are the main differences in the way that you work for each? It depends on the production company too, but there are definitely core differences between the two formats. The frame rate (amount of frames required to shoot per day per animator) on a TV shoot is at least six times the frame rate of a feature. There is a lot more care in a feature about having things exactly as ordered by the director and therefore there are many more stages of progress in all departments that need signing off before the proceeding stage begins. Animators are usually their own most fierce critics and we all probably would agree that we all work terribly hard to find a balance between being effective, creative and fulfilling the brief. Sometimes on a series, due to time constraints one of these elements might suffer and the shot might still get approved. On a feature this balance has to be as perfect as humanly possible. The film industry as a whole is well known for being male dominated. Is this also the case for animation too? In the companies that I’ve worked for in the UK and the department I belong to (Animation) there has always been a male prevalence. In other departments like model making or art department there is more of a balance – sometimes there is even an imbalance towards the female side. What was the best advice you received as a woman working in animation? ‘Just get there and do your stuff.’ It works wonders for both genders, I have to say. How can girls and women with an interest in animation learn more about getting started? Animation is up to a certain level a meritocracy. Without the ability there isn’t a way in. This ability can be learnt even if it is easier if it is instinctive, but it is still possible to get there even if you aren’t a ‘natural’. You just have to want it very much and disregard everyone that tells you how hard it is to get in the industry. It is hard but possible, just keep practicing and improving, get to an animation degree and find your feet once you’re out. There is only one trick – keep animating – at home with makeshift puppets and dodgy cameras. Keep battling and improving. I’m not sure why there are few women in the industry but probably there are a lot of combining factors. The freelance base of the work, the availability to move around for projects and the scarce pool of stop motion work seem a sizeable part of elements that might dissuade women (or any reasonable being) to choose or remain in this career path. Most of the female stop motion animators I know (myself included) don’t have children. For some a life choice, for others postponing that moment for now – let’s say that I feel that there is a correlation. I think that it also has to do with the focus put on the difficulty in getting in the industry, which is of course true, but that doesn’t make it an impossible task. I think the focus should be on how to make it possible. You’ve worked on Shaun The Sheep The Movie, which was nominated for a BAFTA and an Oscar. What was it like working in this? 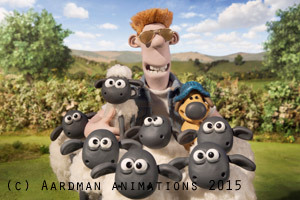 Shaun the Sheep the Movie was a very special project. 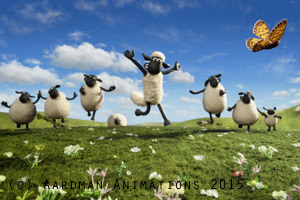 Most of the team had worked on the Shaun series before so the character and the context were very well understood and almost second nature to the crew. It felt right to be able to spend a bit more time on the details that make a feature when working with ‘someone’ that you already knew in depth. The directors Golly and Mark were amazing, always welcoming ideas and input, and simultaneously keeping us on the right track. Because the team was used to work together it all ran at a comfortable pace even if quite hectic at points! How did it feel to have the film recognised in this way? To have this project nominated for a BAFTA and an Oscar is also very special, it’s recognition for all the work and dedication that went into it, and it’s about the directors and the team but I also feel that it involves everyone else that has worked on Shaun at any point. And of course about the stars: Shaun, Bitzer, Farmer, Timmy, Timmy’s Mum, Shirley, the Twins, Hazel and Nuts. Oh and the pigs, let’s not forget them. Are you able to share any details about any of the projects you are currently working on? So I’m animating at the Animortal Studios, in Bridgend (South Wales) and we’re making a feature: Chuck Steel and The Night of the Trampires. We have a fabulous crew all coming together to bring Mike Mort’s (the writer and director) amazing vision to life. It’s an action comedy that is at its core inspired by 80’s films and has its own action hero, Chuck Steel: ‘maverick, renegade, loose cannon, lone wolf, cop on the edge who doesn’t play by the rules’. There are quite a few fight sequences and yours truly surely hopes to get to animate a bit on them! The spark for the feature was a short film made a couple of years back with Chuck saving the day in: Chuck Steel, Raging Balls of Steel Justice, and it is available for viewing on YouTube. It is an animation intended for mature audiences, its scope and genre sets itself on a different path on the animation world.